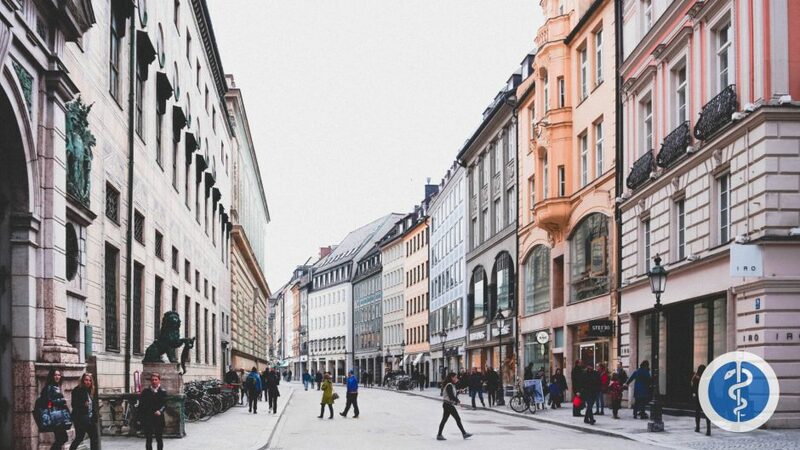 Munich has grown to become one of the top tourist destinations to visit in Europe. Many of may be coming to visit for the famous Oktoberfest festival to enjoy large beers and pretzels. Others may visit for city’s fascinating history, art, architecture, or beautifully green landscape. You will definitely get a taste of Bavaria heartiest meals. However, it is common that many travelers go abroad without considering their health or how to find an English speaking doctor if something goes wrong. It is a truly frightening experience to be injured or ill away from home because it is so difficult to communicate your symptoms when there is a language barrier. What happens if while on your wild adventure through the amazing city, you wake up with a sudden upset from a native Bavarian dish you had eaten. You are groaning and moaning, and just cannot seem to get yourself out of bed due to abdominal pains and nausea. 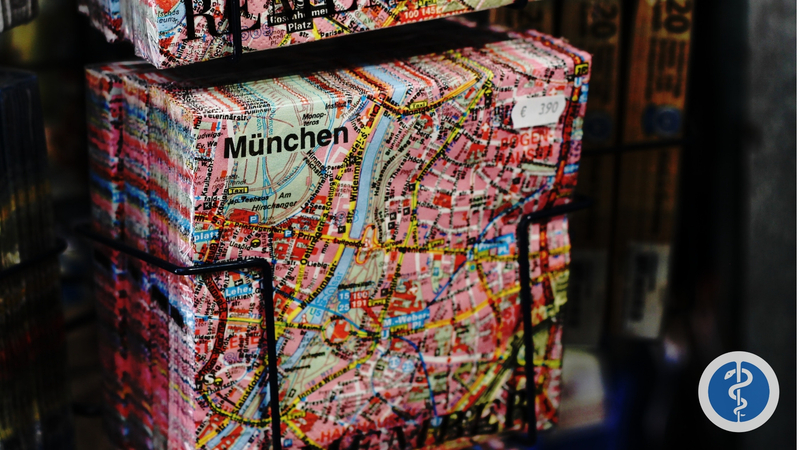 Then you worry about the limited amount of time you have to explore Munich and become stressed because you are not sure what to do to help get yourself better before the end of the trip. You have invested way too much time and money to be stuck in bed for even a fraction of your trip, right? So I am sure you want to get immediate care so you can be back on your feet enjoying continue exploring this breathtaking city. Of course ,trying new foods and new things in general in a different country is all a part of the fun when exploring the culture. However, it is important to keep in mind that your body may not be used to the types of foods you are trying out and may reject it or have a negative side effect. What if you learn you are allergic to this new dish and are in need of medical assistance, what do you do then? These are some of the many scenarios where TripMedic’s fast and convenient medical service for travelers becomes useful. TripMedic makes it easy for travelers just like you to find a doctor who can also speak in your language. Just click TripMedic and check us out! Understanding health care systems can be very confusing, let alone trying to figure it out in a different country that speaks a different language! Here is a very general break down on how Germany’s health care system works. State health insurance is mandatory UNLESS you earn > €59,400, < €450/month or are self-employed. If you are in one of these three categories you can insure yourself privately. Nursing care insurance is required and normally is attached with medical insurance and is insured with the same company. Employers pay half of your health insurance cost under certain conditions. The state healthcare insurance is known as Statutory Health Insurance or Gesetzliche Krankenversicherung – GKV. Many healthcare charges, such as premiums, depend on your income. The basic fixed percentage of income on healthcare is 14.6% with a supplementary charge around 1% plus 2.55% for nursing care insurance. So if you earn a higher income, you will pay more for insurance than someone who earns a lower income. However, healthy and ill receive equal care and are charged the same amount. Germany’s private insurance is known as Private Krankenversicherung – PKV. With this insurance everyone pays a premium, there are no family memberships. This coverage is specified with age and PKV can deny coverage to whomever they please. With PKV, it is better to have insurance a well-off single individual rather than one who is married with children due to the conditions of the insurance plan. Because doctors receive a higher reimbursement from those who are private health care patients, the wait time are far lower than those insured by the state. TripMedic is reinventing healthcare as we know it. Finding healthcare abroad is becoming more efficient, specific, and accessible as TripMedic grows. TripMedic helps avoid that language barrier that causes frustration for the patient and doctor. It also makes the patient feel at home and understood, which overall causes comfort and helps the healing process. Now that you have booked your appointment and learned more about TripMedic in Munich, sit down, take a breath, and enjoy the rest of your travels!